Kari LikeLikes: Orcus mouth, El Sacro Bosque de Bomarzo, Italy. 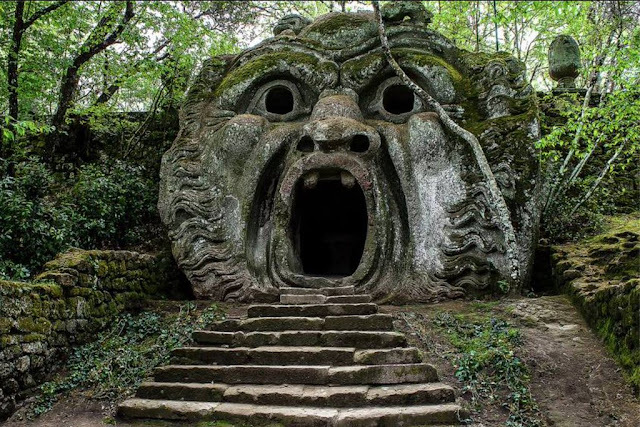 16th century "Park of the Monsters"
Orcus mouth, El Sacro Bosque de Bomarzo, Italy. 16th century "Park of the Monsters"
I thought this was neat so I googled up more info.